The 2019 edition of the Salon International de la Haute Horlogerie (SIHH) is in full-swing, with about thirty-or-so luxury watch brands unleashing their new collections and novelties this week in Geneva. This is the last year that Audemars Piguet will attend SIHH, and there has been plenty of chatter about their new releases. Here’s a quick look at a handful of the new luxury watches fom Audemars Piguet that are being introduced for 2019. 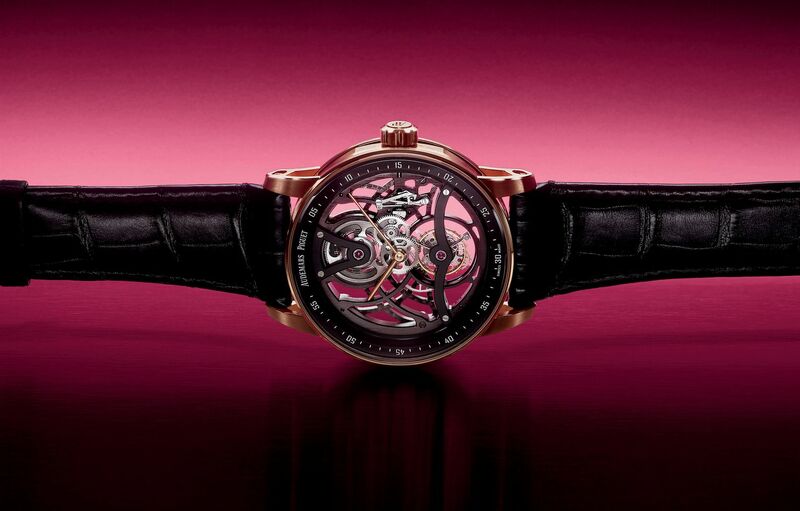 The Audemars Piguet Code 11.59 Tourbillon Openworked in rose gold (Image: Audemars Piguet). The Audemars Piguet Royal Oak Selfwinding Chronograph 38 in stainless steel (Image: Audemars Piguet). Over the course of the last few years, there has been a notable development of brands releasing timepieces with smaller case sizes, which has created a category of what many might call, “unisex watches.” Appearing right on trend is the beloved Royal Oak Chronograph – now available with a smaller 38mm case diameter. The new Audemars Piguet Royal Oak Selfwinding Chronograph 38 is offered in four variations: stainless steel with a silver dial and blue registers, stainless steel with a ruthenium dial and rhodium registers, rose gold with a silver dial and rose gold registers, and rose gold with a silver dial and silver registers. Residing beneath the various dials of the Royal Oak Selfwinding Chronograph 38 is the familiar automatic Caliber 2385 movement, which offers users a 40-hour power reserve. 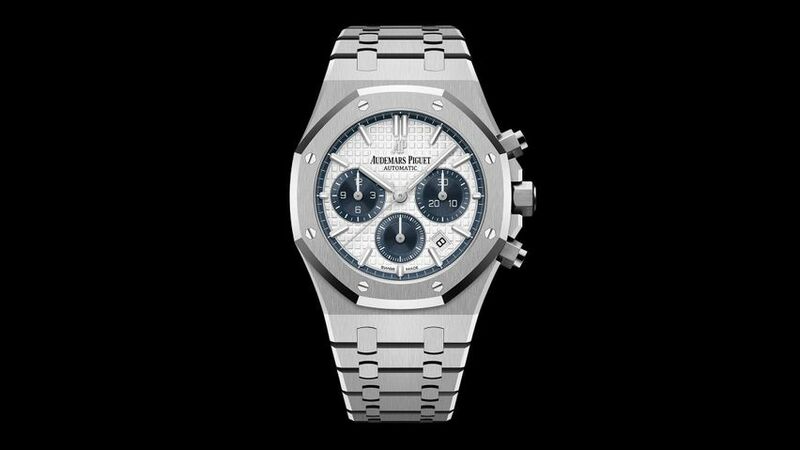 The new Audemars Piguet Royal Oak Selfwinding 41 in stainless steel (Image: Audemars Piguet). For 2019, Audemars Piguet is updating their base model Royal Oak, replacing the ref. 15400 with five new versions of the Royal Oak Selfwinding 41 ref. 15500. Fitted inside the 41mm case is a slightly modified dial that features wider indices, a minute track that sits outside the “Grande Tapisserie” pattern, and the elimination of the 3 o’clock hour marker in favor of just the date window – which has been relocated to be closer to the outer edge of the dial. Internally, the movement has also been updated, and the new Royal Oak Selfwinding 41 now receives the brand-new, in-house Caliber 4302 (as seen in the new Code 11.59, which we will discuss below) that offers users a 70-hour power reserve. 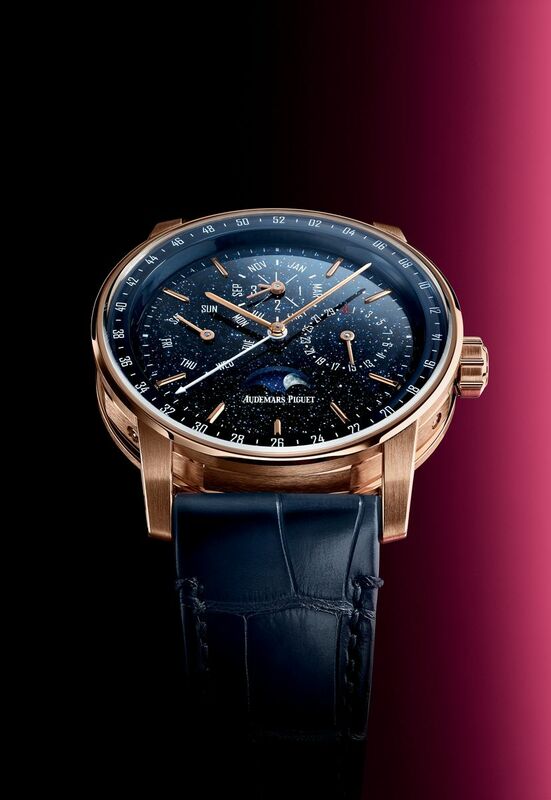 The five new models include three in stainless steel with a choice of a blue, gray, or black dial – in addition to two rose gold versions that have black dials and offer the option of either a matching gold bracelet or a black leather strap. The Audemars Piguet Limited Edition Royal Oak “Jumbo” Extra-Thin in white gold (Image: Audemars Piguet). Sometimes all it takes is adding a fresh new face – which is exactly what Audemars Piguet did on the Limited Edition Royal Oak “Jumbo” Extra-Thin ref. 15202BC. Some people have taken to calling the dial color salmon, while the manufacturer prefers to call it pink gold-toned. Regardless of the color’s name, the dial receives AP’s signature “Petite Tapisserie” treatment, creating a striking appearance that has been getting a lot of attention from collectors and enthusiasts of the brand. By today’s standards, the 39mm white gold case is anything but “Jumbo” – the Jumbo nickname actually has its origins with the very first Royal Oak – which during the 1970s, was considered quite large for its time. Despite being far from the biggest watch in Audemars Piguet’s catalog, the “Jumbo” nickname has stuck, and now refers to Royal Oak references that are quite reasonably sized by today’s standards. Additionally, with the matching 18k white gold integrated bracelet, this is hardly a lightweight watch, despite the case’s svelte 8mm profile. 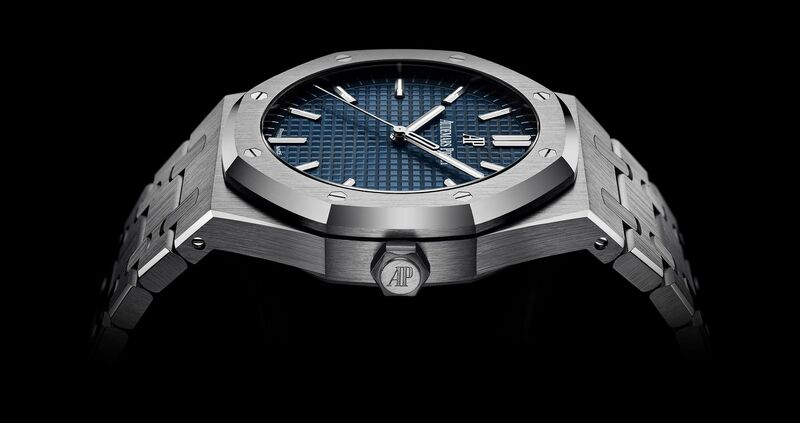 Limited to just 75 pieces, the Royal Oak Extra-Thin 15202BC will be sold exclusively at AP boutiques. The Audemars Piguet Code 11.59 Perpetual Calendar in rose gold (Image: Audemars Piguet). Last, but certainly not least, is Audemars Piguet’s brand new collection, Code 11.59 – which has quite possibly been the most controversial and discussed release of SIHH 2019. Boasting a lineup of 13 watches across 6 different models, and fitted with 3 brand-new, in-house movements, Code 11.59 is a significant departure from the tried and true aesthetic of the brand’s existing collections. Although the new watches may not appeal to die-hard fans of the chunky and angular design of the Royal Oak, there’s no denying the painstaking work and attention to detail that went into the production of the entire collection. At first glance, the Code 11.59 watches look like they follow a standard, circular shape; however upon closer inspection, it becomes clear that their cases are not round at all. Instead, the middle case is actually shaped like an octagon – a nod to the iconic silhouette of the Royal Oak. The top portions of the open-worked lugs are welded to the extra-thin circular bezel, while the bottoms of the lugs are not connected to the case at all, but rather rest against the outer edges of the caseback. The sapphire crystal is not a standard shape either, and features a double curved profile. Comprised of a spherical curve on the underside surface of of the crystal, and an external curve that runs vertically from 12 to 6 o’clock, the unique crystal shape is intended to enhance the overall legibility of the dial below. At this point in time, every case in the Code 11.59 collection measures 41mm in diameter, and is available in either white or rose gold. The Audemars Piguet Code 11.59 Selfwinding Chronograph in white gold (Image: Audemars Piguet). The six new models are Code 11.59 Selfwinding, Code 11.59 Selfwinding Chronograph, Code 11.59 Perpetual Calendar, Code 11.59 Selfwinding Flying Tourbillon, Code 11.59 Tourbillon Openworked, and Code 11.59 Minute Repeater Supersonnerie. 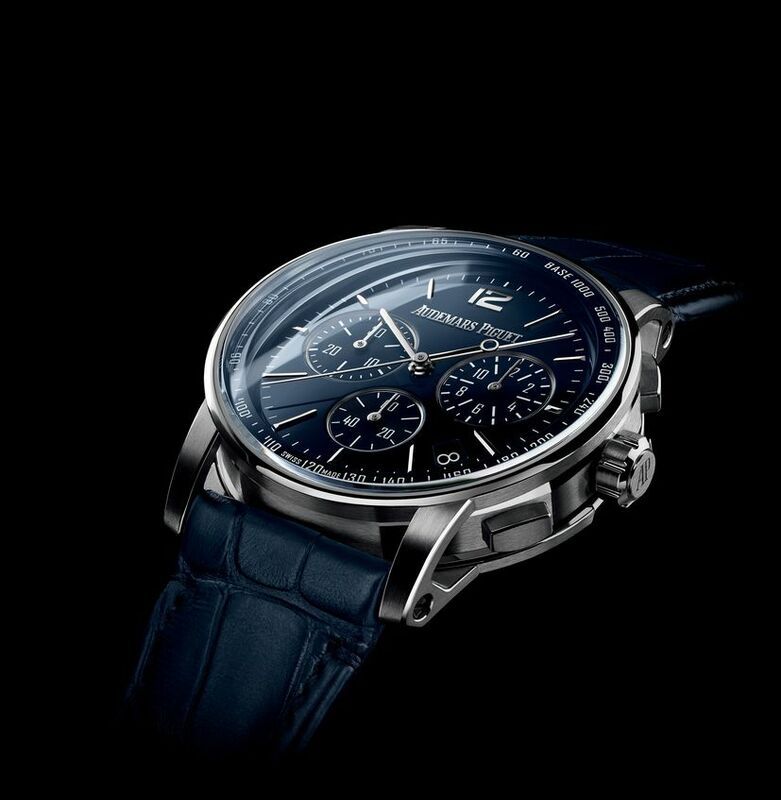 To power the new Code 11.59 watches, Audemars Piguet developed 3 brand-new, in-house movements: an integrated column wheel chronograph with flyback function, a self-winding caliber with a date indication, and a self-winding flying tourbillon. 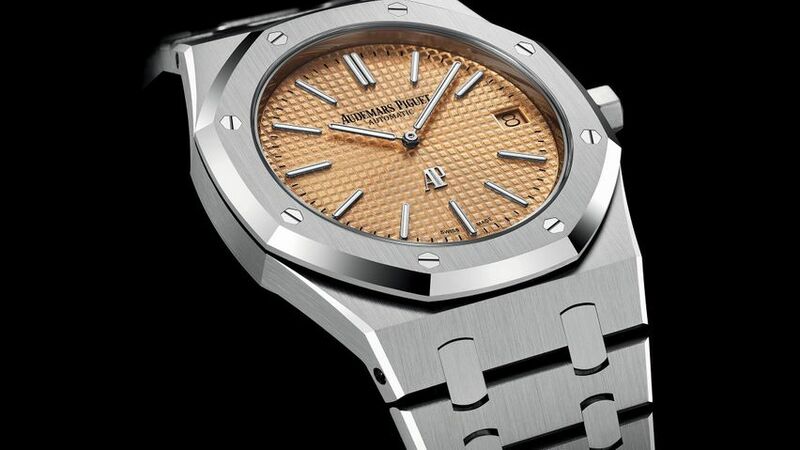 Audemars Piguet intentionally designed the various Code 11.59 watches to be significant departures from the already-established aesthetic of the Royal Oak. Only time will tell whether or not these new watches will find the same success as the brand’s other collections; however the launch of Code 11.59 is – without a doubt – the biggest news to come from Audemars Piguet in recent years. 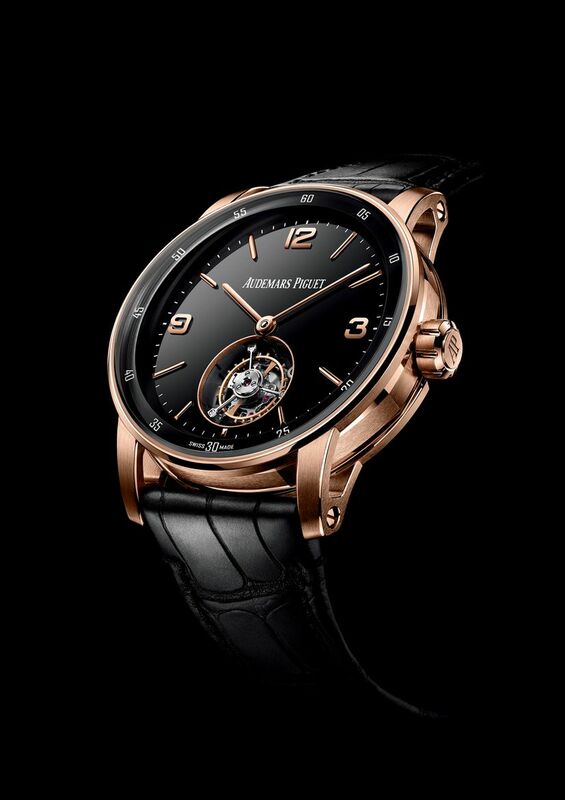 The Audemars Piguet Code 11.59 Flying Tourbillon in rose gold (Image: Audemars Piguet).